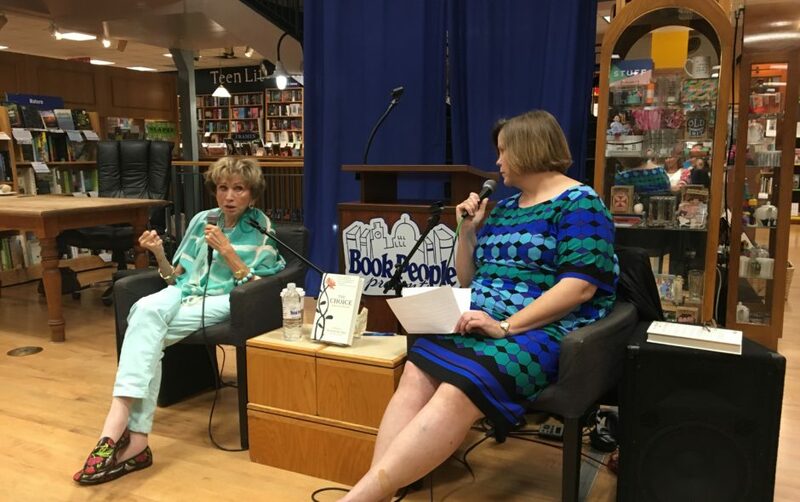 Dr. Eger made her way to Austin, TX to speak at Austin’s largest independent bookseller, Book People. With over 200 attendees and even more books sold online (and even internationally), Edie had a wonderful time sharing her story with all around. She was in-conversation with Austin’s NPR Station, KUT and its own Jennifer Stayton. 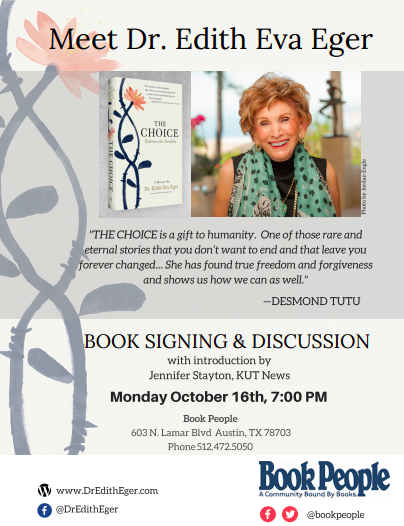 Be sure to pick up a copy of The Choice today, and follow Edie on Facebook so you don’t miss out on any of her upcoming events!